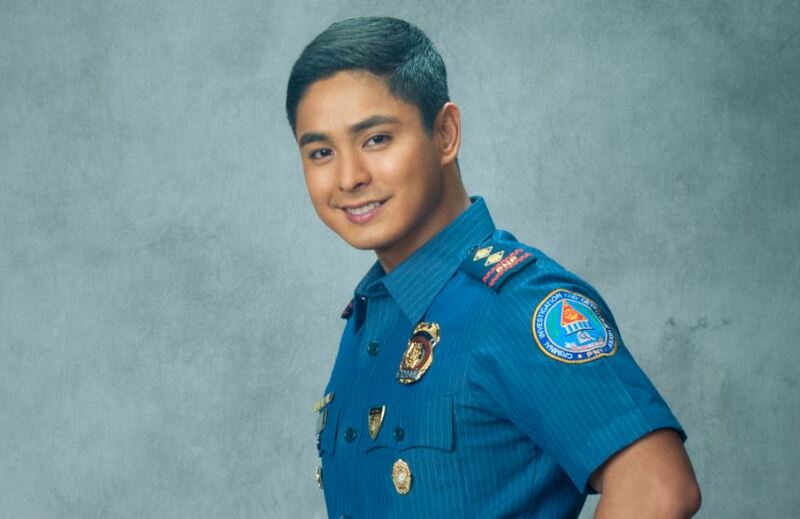 Cardo (Coco Martin) is definitely the country’s most loved “probinsyano.” For over two years now, we have welcomed him into our homes every night and joined him in his heart-pounding adventures as he battles crimes and saves lives as a tough police officer. Dedicated to his job, Cardo surely has done it all — from going on life-threatening assignments and disguising as the alluring lady Paloma. Willing to risk his life to protect others, Cardo has saved thousands of people who fell victim to notorious gangs and has raided the country’s biggest crime syndicates. But his quest does not only involve life-threatening battles; he also leads in maintaining peace and order in their community and is always just a call away when their neighborhood needs help. Now, his dedication to preserve peace still lives on as he went undercover to join Pulang Araw to reveal the truth behind all the terrorist attacks and chaos happening in the city, which are all orchestrated by director Renato Hipolito (John Arcilla), who aspires to be a senator. Having grown up without his family, Cardo sure knows how hard life can be, which explains his desire to serve the people, especially those who do not have the capacity to fight for their rights. He has helped victims of crimes such as prostitution, child trafficking, and corruption to stand up and expose syndicate masterminds, putting an end to their evil ploys. Even now that he is with Pulang Araw, Cardo continues to be the warrior for the oppressed after he recently fought for the rights of the Mt. Karagao farmers, whose lands were being claimed by the illegal quarry owners Javier (Jestoni Alarcon) and Miguel Enriquez (Aljur Abrenica). Along with the rebel group, Cardo responded to the farmers’ plea and ended the Enriquez’s tormenting schemes. As Filipinos, it is ingrained in our culture to give importance to filial relationships, which is evident in Cardo’s family. A family man, Cardo always puts the welfare of his family first and makes sure they are intact, especially during trying times. They are also a great reflection of a warm Pinoy household that welcomes and cares for people who are not related to them by blood but treats them as their own, such as Onyok and Makmak. Their family also got bigger after Cardo married Alyana (Yassi Pressman) and welcomed his partner in crime Paco (Long Mejia) and kids Ligaya, Dang, and Paquito. Just like everybody else, Cardo wants change to happen in our society. As a police officer, he is able to influence the people around him by setting as an example of what a good citizen should be. He also uses his authority to stop abusive people, like Renato Hipolito and even his then arch nemesis Joaquin Tuazon (Arjo Atayde), from taking advantage of their positions to manipulate innocent people. This makes his character not only admirable to viewers, but also to real life cops, earning the nods of the Department of the Interior and Local Government secretary Mike Sueno and Philippine National Police chief Ronald Dela Rosa. He may now be living in the city, but Cardo remains a certified “probinsyano,” living a simple life and working hard to give his family a good life. Hardships may come his way, but his faith and resilience helps him fight against life’s biggest struggles. Despite having achieved milestones in his career, he remains humble and thankful for the blessings he receives. With the traits he exemplifies, Cardo sums up what an every ordinary Filipino is and what we should continue to aspire to be. Don’t miss the number one primetime series in the country “FPJ’s Ang Probinsyano,” weekdays on ABS-CBN and ABS-CBN HD (SkyCable ch 167). To watch the show’s past episodes, login to iWanTV or skyondemand.com.ph for Sky subscribers.